I’ve been messing around with pancake recipes recently, both USA buttermilk style pancakes and the thinner European style pancake like these. 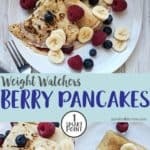 There are so many USA style pancake recipes around on the Weight Watchers forums using weird and wonderful ingredients and I’m determined to perfect something that doesn’t taste like it is made with weird and wonderful ingredients! 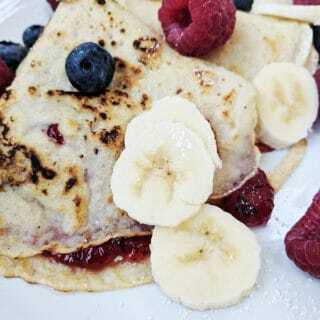 Having made some inedible pumpkin and oat (USA style) pancakes the other day, I gave up and decided to make my ‘go to’ European pancake recipe instead. I just adapted it to make it more Weight Watchers friendly. I filled them with some diabetic strawberry jam and topped them with lots of fresh berries and sliced banana. 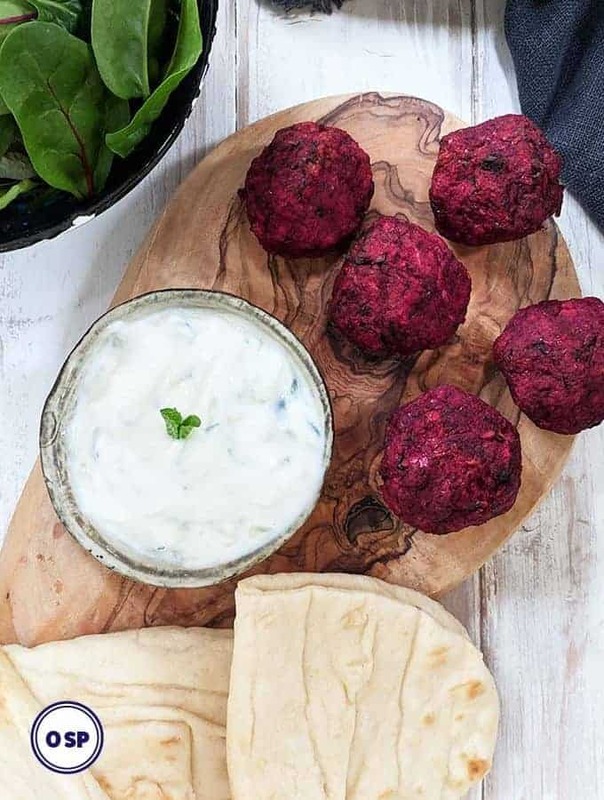 A really tasty and filling breakfast, brunch or dessert. Once you make the batter, set it aside for 20 – 30 minutes before using. Use a good quality non stick pan. Before cooking the pancakes, wipe the frying pan with a bit of oil – do not use too much as this can make stodgy pancakes. I have used spray oil, but prefer to use this method. The pan does not generally need oiling between each pancake, but this depends on your pan. If you do need to oil the pan, do it very sparingly. 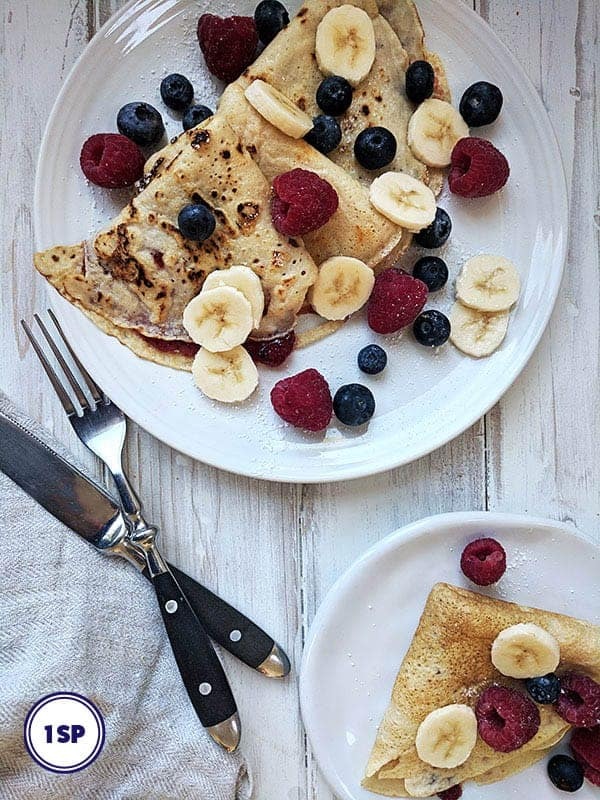 Pancakes can be frozen by separating each pancake with a piece of baking parchment before wrapping in cling film (Saran wrap). Freeze for up to 2 months. I used Stute Diabetic Strawberry Jam in this recipe, available from Amazon. I used a good quality frying pan, like this one available from Amazon. 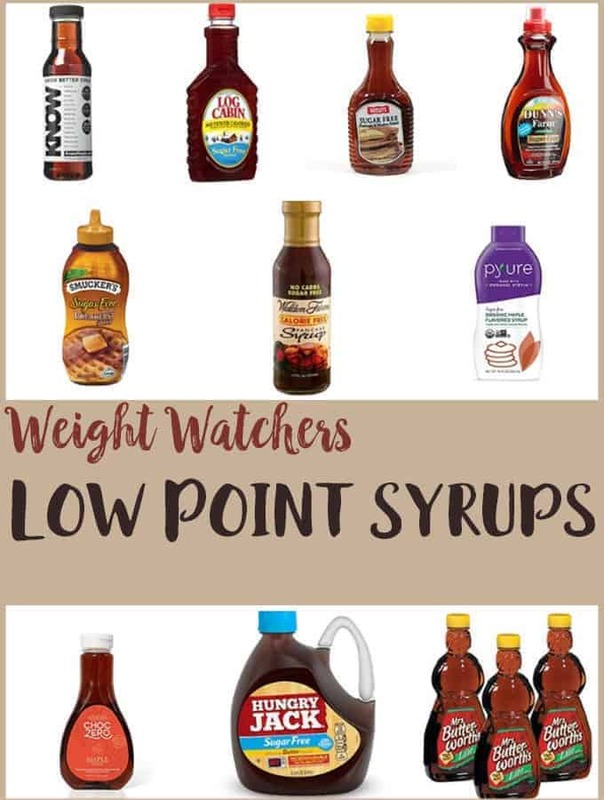 You can swap the unsweetened almond milk for skimmed milk but this will increase the Smart Points to 2 Smart Points per pancake. Use frozen mixed berries rather than fresh. 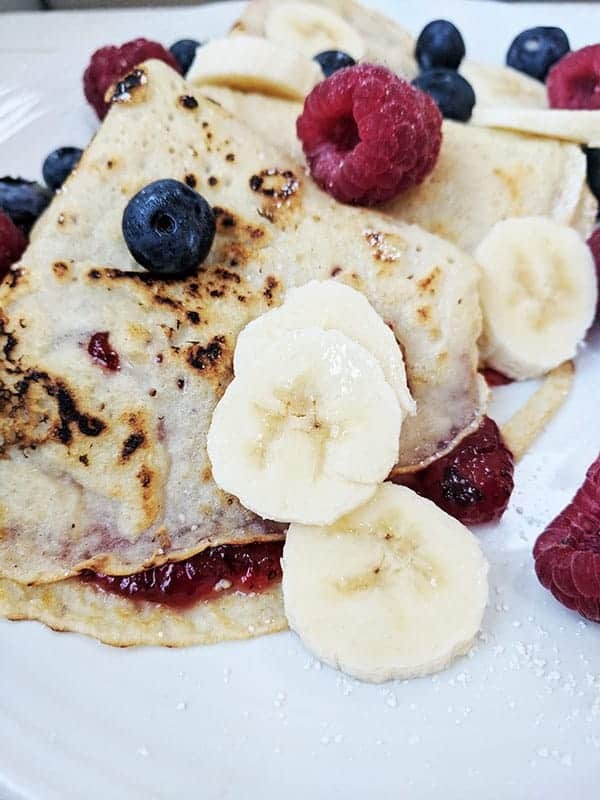 These Berry Pancakes are filled with strawberry jam (jelly) and topped with mixed berries and banana. They are just 1 Smart Point per pancake. Place the egg, almond milk, flour and half a teaspoon of the oil in a jug and whisk thoroughly until it is smooth and lump free. For best results, set it aside for 20 - 30 minutes. When you are ready to cook the pancakes, place a medium sized non stick frying pan over a medium heat. Using a bit of kitchen roll, carefully rub some oil over the pan (it is important that you do not use too much oil as this can spoil your pancakes). When the pan is hot, you can start making the pancakes. Put a 1/6 of the mixture in the pan and swirl the pan around so that the mixture covers the bottom of the pan. Cook for approx 1 minute before flipping to cook the other side. Once both sides are cooked the pancake can be placed in a warmed oven to keep warm. Repeat with the remaining mixture. You generally don't need to oil the pan between each pancake but this is very dependant on the pan you are using. Spoon the sugar free (diabetic ) jam/jelly into a small dish and add a touch of hot water to thin it out. Spread a thin layer of the jam/jelly onto each pancake and fold into four. 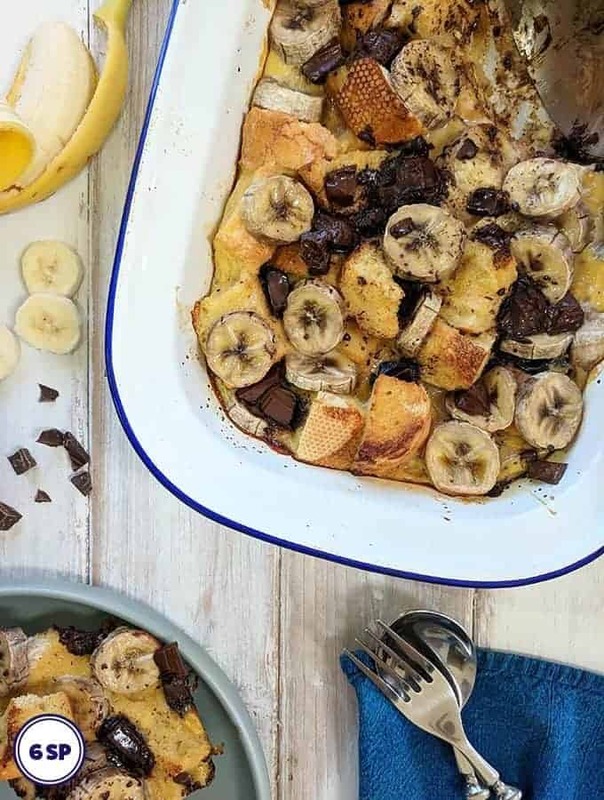 Serve topped with handfuls of mixed berries and sliced banana.